← What Happens at the Doctor? 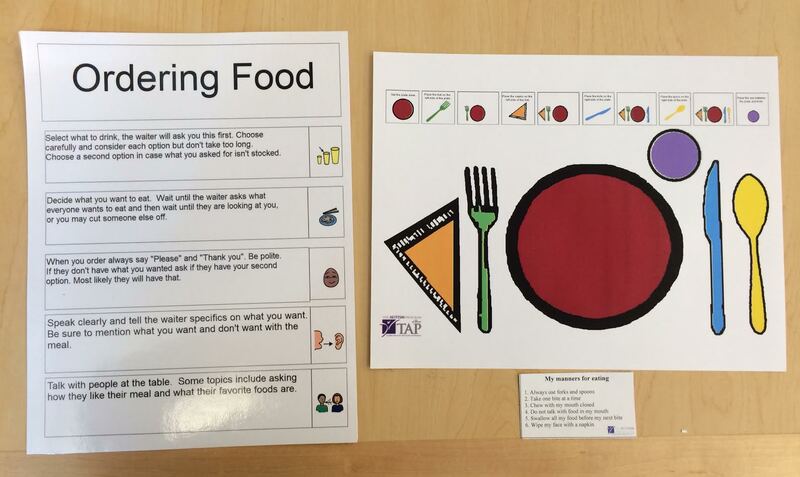 “Ordering Food” provides individuals with a step-by-step process for ordering food. Also pictured is a sample place setting which includes appropriate table manners for using a full place setting.